In this article, we'll share some contents about a talk with the producer of MapleStory Hyun Joo Kim. 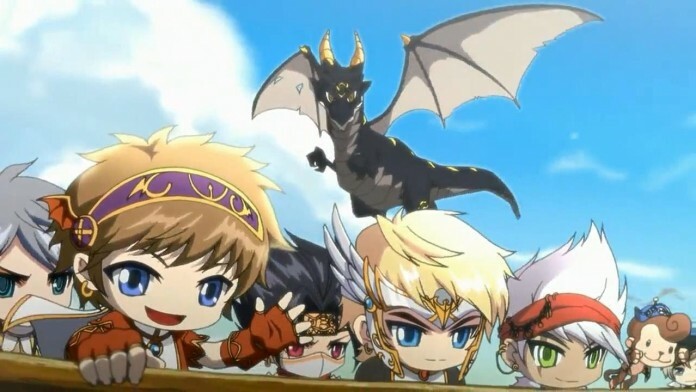 MaplStory, which has been played for over 13 years worldwide, is unique because of the 2D sidescrolling perspective. It is also one of the most successful games on the Western market. This western market is very important is for the game producer. The game was a success in Asia but the Western market was only a big question for them when they launched the international service in 2005. In the 11 years since many games have come and gone again, but MapleStory defies everything and is still very strong. The majority of players come from the US and also from Europe, as they have put together both services this year. They made this decision to provide new content for all Western players at the same time. What they want is to continually improve the maple story experience for Western players. To ensure success on the Western market, a lot of things had to be adjusted and they are still adapting with every patch. This includes, for example, the droprates of items to match the item shop. They spent a lot of time studying the behavior of the players. Therefore, the updates that they play in Western countries are also aimed at the needs of the players there. They also attach great importance to good localization of the texts. The producers do not simply translate the original texts, they localize them to ensure that they also fit Western culture. This is not always easy since some texts contain Korean jokes that can not be transferred well. But this is where the localization team excels, which ensures that all our texts are meaningful and also contain the necessary humor. The game started in 2003 first in Korea. With the success they had not expected, but he led to the international service. Service in Korea still determines MapleStory's main content and design, but each region has its own dedicated service that ensures the game is unique and unique to each player. MapleStory gets an update almost every month and you can imagine how big the game has become over the years. It will be hard not to have anything to do with the game. The change in the game is impossible to satisfy everyone. Everyone simply has a different opinion. Therefore MapleStory would like to supply what the masses want, provided that the game balance, the economy and the longevity of the game do not hurt. The biggest updates, such as V or Big Bang from the year 2010, included changes that the players had wished for. Although MapleStory is very successful, there are hardly any games that offer this gameplay. There is only one maple story. No copy is as good as the original. Refer to the future of MapleStory, as part of the big V update, the procuders will launch the long-awaited boss boss Lucid - Master of Nightmares in January, who will become one of the most difficult bosses in the history of MapleStory. In addition, there have much more to announce in 2017.